I've always been curious about the issues that face native peoples in Canada so was happy to pick up a copy of Peace Pipe Dreams: The Truth about Lies about Indians. Darrell Dennis is a stereotype-busting, politically incorrect Native American/Aboriginal/Shuswap. With a large dose of humour and irreverence, he untangles some of the truths and myths about First Nations: Why do people think Natives get free trucks, and why didn’t he ever get one? Why does the length of your hair determine whether you’re good or bad? By what ratio does the amount of rain in a year depend on the amount of cactus liquor you consume? In addition to answering these burning questions, Dennis tackles some tougher subjects. He looks at European-Native interactions in North America from the moment of first contact, discussing the fur trade, treaty-signing and the implementation of residential schools. Addressing misconceptions still widely believed today, Dennis explains why Native people aren’t genetically any more predisposed to become alcoholics than Caucasians; that Native religion doesn’t consist of worshipping rocks, disappearing into thin air, or conversing with animals; and that tax exemptions are so limited and confusing that many people don’t even bother. Although the above description from Goodreads calls author, Darrell Dennis a native American, he actually is a Canadian comedian, actor, screenwriter and radio personality from the Secwepemc Nation in the interior of British Columbia. "First Nations" is the popular term in Canada, "Native American" or "American Indian" in the US and you should stay away from plain old "Indian" in both countries... it's impossible to provide a term that all native people can be comfortable with. For example, the word "Indian" is used amongst fellow "Indians" but there will always be "Indians" who are offended by the word "Indian" even though they support their fellow "Indians" using the word "Indian". It's generally considered bad for to call an "Indian" if you yourself are not an "Indian" and that includes "Indians" from India. Got it? 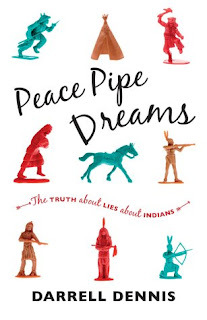 The book is very well researched and Mr. Dennis says the book is meant to be a quick and dirty introduction to the truth behind the stereotypes, and one of the messages is, Don't believe everything you read about Indians. The book is filled with humour, which makes the material sink in more. 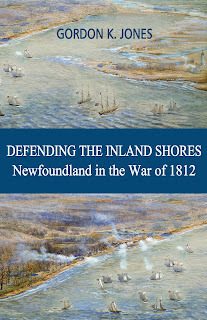 The chapters includes such topics as Native Names, Native Perceptions: The European Point of View, Native Perceptions: The North American Point of View, Natives and Alcohol, Religion & Residential Schools (the one very serious chapter in the the book with no attempts at humour), Treaties, Native Land, Native Government and The Future. I thoroughly enjoyed reading this book. It's entertaining, informative and I think it is an important read, a book that should be read by every Canadian.